If you want to see a Colombian light up all you have to do is put hogao on the table and they’ll be happy. It’s as simple and easy as that. To this day, I have not met the first Colombian who does not know what hogao is or what it tastes like because we all grew up with it. Our mothers always made it for breakfast to serve it with eggs or arepas, or for lunch and dinner so we could add it to our soups, stews or beans. And it’s so essential that you cannot go to a Colombian restaurant, anywhere in the world, and not see it as part of the menu. Hogao is a simple tomato and green onion sauce that cooks on low heat to let the flavors blend while the vegetables swim in their own juice. The word actually comes from the verb “ahogar” (to drown) and that’s exactly what you’re trying to do, letting everything cook slowly to get the best flavor and consistency. 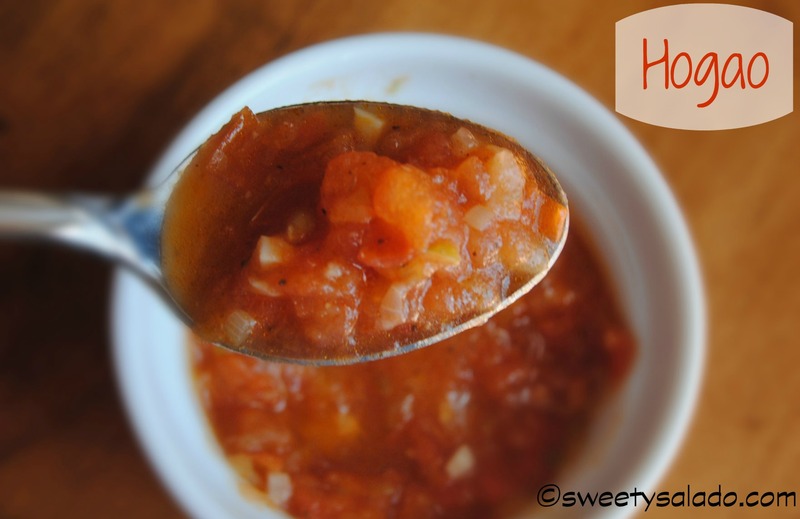 And unlike any other Latin sauces you may be familiar with, this one is not spicy at all. Like I’ve said in previous posts, Colombians are not big fans of spicy food and don’t usually add heat to their meals. If you are, then all you have to do is throw in a couple of hot peppers or maybe a small amount of pepper flakes, but it won’t be the traditional hogao that is prepared in Colombia. seasoning. But to me, the best hogao is the one grandmothers have been making for centuries with what little they had, only the basics. 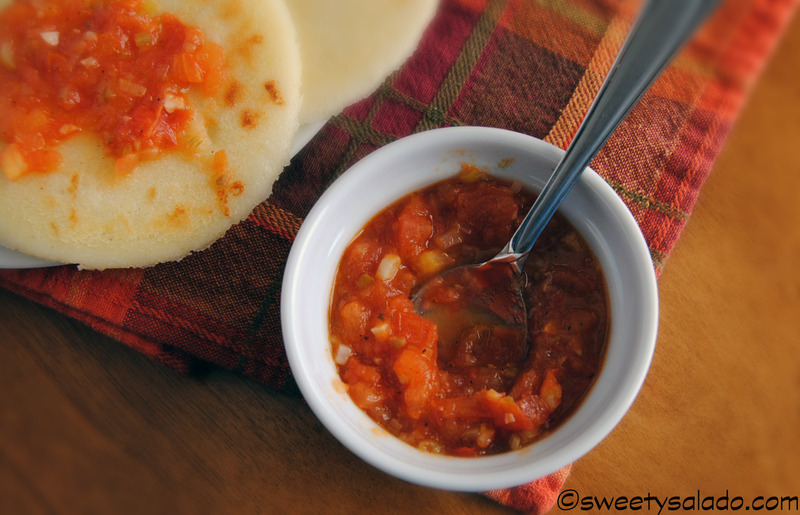 Feel free to serve this sauce to compliment any meal such as arepas, beans or empanadas. But let me tell you, serve it on French or Italian bread and it makes a fantastic appetizer.¡Buen provecho! 1. Heat oil in a large pan on medium heat. Add onions and garlic and cook for about 3 minutes. 2. Then, add the chopped tomato and lower heat to low. Cook for about 8 minutes. 3. Add cumin, chicken bouillon and salt and pepper. Cook for another 3-5 minutes or until sauce thickens. 4. Serve it hot or cold with any meal.